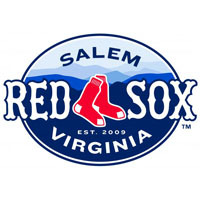 Boston’s Bobby Jenks is scheduled to make a rehab appearance for the Salem Red Sox at LewisGale Field on Saturday night. Jenks will likely start and throw one inning in Salem’s contest against the Wilmington Blue Rocks, a Kansas City Royals affiliate. Jenks, 30, possesses 173 major league saves and a career ERA of 3.53 in seven major league seasons. A member of the Chicago White Sox from 2005-2010, Jenks signed with Boston as a free agent on December 21, 2010. The hard-throwing righthander won a World Series ring with the White Sox in 2005, saving two World Series victories over the Astros. He was named to the American League All-Star team in 2006 and 2007, finishing second in the AL in saves in both of those seasons. With Boston in 2011, Jenks has gone 2-2 with a 6.32 ERA in 19 appearances. He has been on the disabled list since July 16 with back tightness. Saturday night will be Jenks’ second appearance in the Carolina League. He made one rehab start for the Winston-Salem Warthogs in 2008, allowing one run on three hits in one inning for the White Sox affiliate on July 14, 2008. Jenks will be the third major-league rehabber that Salem has had since 2009. Daisuke Matsuzaka and Junichi Tazawa are the other Boston hurlers who have spent some time with the Salem Sox.